Imagine standing in the forest; the smell of the trees, the birds chirping, the majesty of standing amongst the creatures and plants of the Earth. This is what has inspired our latest Earth Bracelet design, the power and glory of the Earth's bounty. 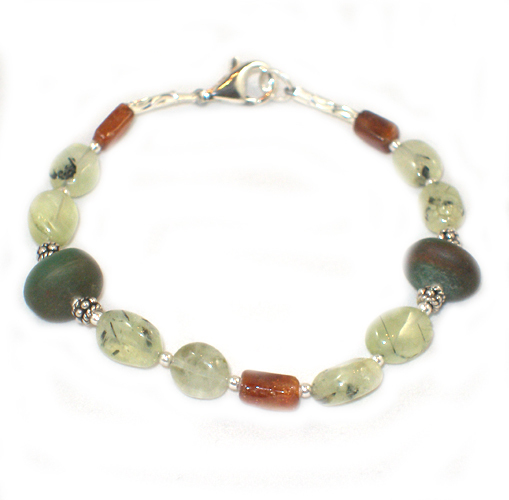 Featuring eco-conscious gems: Jade, Prehnite, Hessonite Garnet, and Sterling Silver.